Today Dell is unveiling a new offering in the world of after purchase support which they have dubbed Premium Support. It promises to significantly reduce the amount of time spent on the phone when there is an issue, and the support can encompass anything from hardware to software. 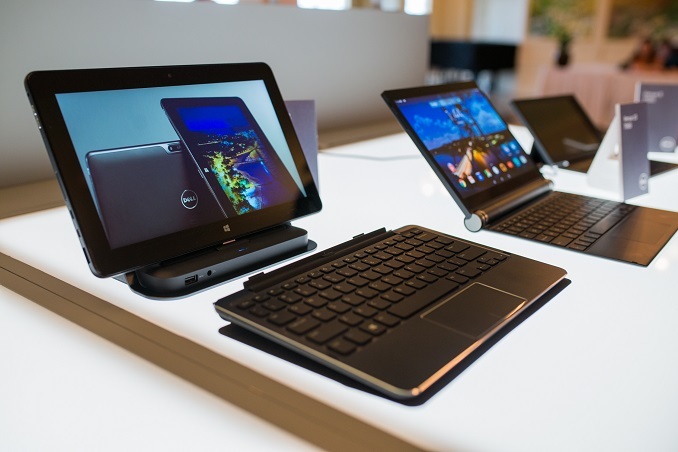 To speed up the process, Dell leverages SupportAssist which will come pre-installed on the device. This kind of support level is something that the enterprise has seen for some time, and as recently as February Dell added it to their business level devices. Unlike traditional support, where it is a reactive model based upon the customer having an issue and reporting it, Dell’s SupportAssist software monitors the system and, assuming you have an active subscription to the service, sends Dell notifications of issues with the device so that they can reach out to the customer through whatever means the customer prefers, so Dell can call or email letting them know that there is an issue. One of the key benefits of this approach is that if you do have an issue, the correct person can be the first point of contact rather than having to be bounced around while on hold. Dell commissioned Principled Technologies to simulate a support case using Dell’s Premium Support with SupportAssist against the top-tier support of Apple, HP, and Lenovo, and the call time for Dell support for a broken hard drive was 4m 05s. Apple and Lenovo were about tied at 25m 44s for Apple and 25m 49s for Lenovo, with HP at 40m 40s. That was just the call time though. Apple then made an appointment for the customer to visit the Genius Bar for further troubleshooting, and HP wanted the laptop shipped to them for service or a refund. Dell and Lenovo both shipped out a new drive and an on-site technician for service. Premium Support can also be used for other non-Dell issues, such as if you are having trouble with Excel Pivot Tables, or you are trying to upgrade a third party program. Dell wants it to be a one-stop shop for all computer support for Dell customers. They even said it could be used to help with migrating a computer over to Windows 10. SupportAssist is free to all customers to help them with diagnosing their computers, and those that want to move up to the Premium Support model can do that starting at $39 per year. It is currently available in the USA and Canada on Dell Inspiron, Alienware, Venue, and Chromebook products. Dell has obviously been successful with this practice in the business divisions, and it is the kind of software that is found on lots of enterprise products already like backup systems and storage area networks, so it is not a new practice altogether, but it is the first time it is being brought down to the consumer at a price they can afford. To hit this price point though, Dell is using overseas support rather than the NA support offered to its business customers. I’m not sure that this would ever be the right product for me, but on a larger scale, there are likely a lot of people that would like this kind of service. The low price helps a lot too. Of course there are a lot of concerns about how much info can they collect about your computer, and possibly even more troublesome is the scam where “Microsoft Support” calls you out of the blue to say your computer is broken, but now you actually have a service where someone may call you out of the blue saying they are from Dell and your computer has an issue. However this model has proven to be successful in the enterprise and business sectors and Dell’s SupportAssist is based off of Compellent’s technology from when Dell acquired them in 2010. Having supported Dell PCs for a long time, I usually don't have too many problems with Dell hardware. So you're still getting what you originally got - a PC with a predefined amount of time for hardware support. That doesn't change - you're not having to pay anything extra. Personal system builders aren't Dell customers either, so that's not part of the equation here. For "desktop" PCs I surely agree. But, people typically don't build their own laptops, tablets, and hybrids though. And it's not really all that possible, even today. Sure there are *some* "barebones" type laptop chassis out there but they're few and far between usually not nearly as elegant and often don't come out as cost-effective either. For the regular Joe, who needs "support", this is a valid option for those that value such service and are willing to pay for it. Yes, it's true a lot of people don't need/want it, but then we're the minority of buyers/users. Personally, I also think "support" is for the birds...from any manufacturer. But then I know what I'm doing, most people buying computers typically have no idea what they're doing. Furthermore I think you'd have to be nuts to buy a brand new laptop or tablet because the resale in the used market is so poor, that's where all the deals are. People buying $2k+ laptops are nuts, IMO. Wait six months to a year and you can easily buy it for about half that, in near-new condition, on eBay, etc. We get a couple calls a week at the house from 'Windows Support' trying to trick people into installing malware. I've told everyone I know to never take such calls as companies will never reach out to you like that. That if they get such a call it is a scam.